Incident Management Solutions: Why Build When You Can Buy? Incident management solutions come in a variety of shapes and forms. Many teams build their own, many teams buy tools, and a lot of teams use a hybrid structure. Every organization’s infrastructure is different and so, of course, the pain points associated with that infrastructure will also vary. Let me preface this by saying that no single structure works for every business. But, in a large number of cases, there are great advantages to buying an established incident management solution rather than building your own. Bottom line: Implementing effective out-of-the-box incident management tools and processes will lead to less customer-impacting incidents, speed up development time, and help you build more reliable systems. A number of challenges exist when building your own incident management tools. But, the primary difficulty with building your own incident management solution is the loss of time. In a fast-paced business, you can’t afford to lose product development time because you’re too busy building internal incident management solutions. In-house solutions typically rely on a mish-mash of third-party tools and communication solutions (i.e. email, SMS, chat applications). This method of communication can create foggy incident context and make it so people can’t get the information they need when they need it. Consolidating incident communication and data into one centralized location allows for team-wide visibility and collaboration. Maybe we’re biased, but out-of-the-box incident management solutions have already been purpose-built to better your team’s overall communication, incident visibility, and system observability. This way, your team can immediately begin focusing on incident remediation rather than waiting for a piecemeal incident management solution to be built out. In homegrown solutions, as communication splinters across email, SMS, and other chat applications such as HipChat, Slack, or Microsoft Teams, a lack of incident ownership and accountability can occur. Centralized communication, on-call scheduling, and escalation policies can create clear incident ownership and give visibility to those that need it. Most in-house solutions create communication overlap, confusion, and/or repeat work. Spread out communication creates multiple streams of incomplete incident data, which can slow incident resolution time and make conducting useful post-incident reviews a nightmare. Purchased incident management solutions provide essential communication paired with broad, cross-functional visibility. Pre-built incident management solutions offer more flexibility for schedules and escalation policies. Homegrown solutions typically don’t provide the flexibility necessary for one-time events—a child’s soccer game or an unplanned illness. This leaves it up to individuals to iron out scheduling conflicts, rather than providing full-team schedule transparency. Typically, it’s much simpler to organize schedules and manage them through out-of-the-box incident management tools optimized for these exact scenarios. Context is king when it comes to incident resolution. In our 2014 State of On Call Report, we found that 56% of on-call professionals say their biggest challenge is sharing contextual information. Homegrown solutions are typically bare bones and can’t accurately depict contextual alert or incident data. Pre-built incident management solutions already integrate with a number of your monitoring, alerting, and automation tools, utilizing incident metadata that can help simplify the remediation process for your team. In addition to deeper, accessible information, you get a much faster implementation with an out-of-the-box solution. Instead of spending time building a homegrown solution, you can spend time identifying issues, diagnosing problems, collaborating on incidents, and improving resolution speed, all in one purpose-built incident management platform. In-house incident management solutions will almost certainly create alert fatigue for your team. Rarely can you build systems that provide proper team scheduling or escalation paths, resulting in a flood of unactionable alerts. Multiple, non-involved people may begin receiving alerts, convoluting the process of remediating critical alerts. Out-of-the-box incident management solutions have already tackled these issues to help you set up teams, route incidents properly, escalate issues, and, ultimately, resolve incidents efficiently. With an incident management solution, you can begin prioritizing alerts and collaborating in real-time immediately after implementation. 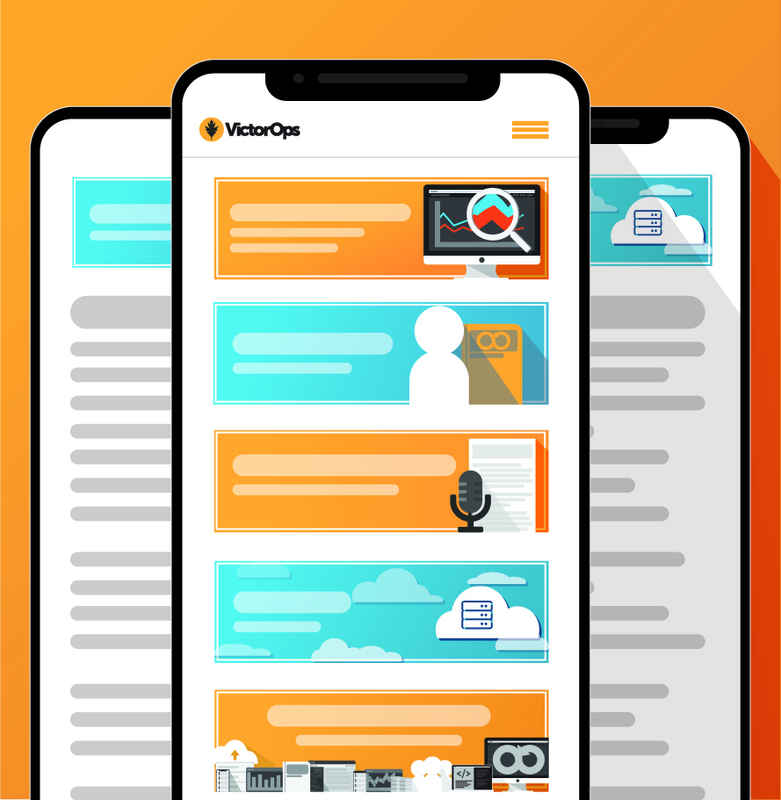 VictorOps is purpose-built to decrease alert fatigue and improve contextual alert collaboration. Check out our free Incident Management Buyers Guide to learn everything about what to look for when assessing incident management solutions.